County Wicklow features some of the most breathtaking natural scenery in Ireland. 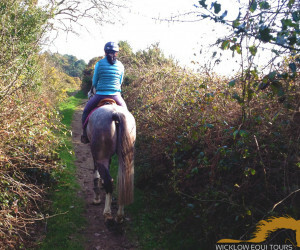 While being easily accessible, south of Dublin, county Wicklow is a fantastic destination for days out, or weekends away. 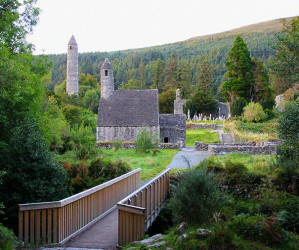 With the Glendalough medieval monastic settlement and nearby lake system at it's heart, Wicklow has long been popular destination with many fun things to do and explore. 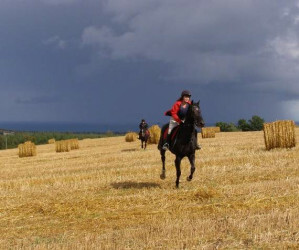 YourDaysOut.com has 51 fun things to do in County Wicklow, Ireland. 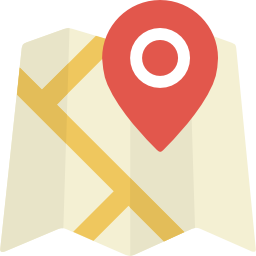 Finding fun things to do in County Wicklow is easy - simply browse through the links below, click on a venue for more detailed information about the day out, search a new destination on menu bar above or select Near Me to find fun things to do around your current location. Wicklow is the 'Garden of Ireland' and offers stunning scenery, historical architecture, parks, art, adventure and activities. Our top attractions are listed below and feature grand houses such as Kilruddery, Russborough and Powerscourt. 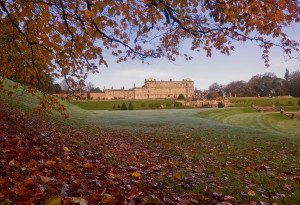 For those looking for activities, you can choose from bracing cliff-top walks to leisurely strolls in ornate gardens. 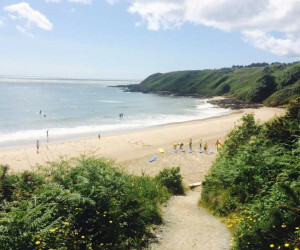 Wicklow's coastal towns of Bray and Greystones offer seaside attractions while the villages of Avoca and Roundstone have their own unique country charm and character. 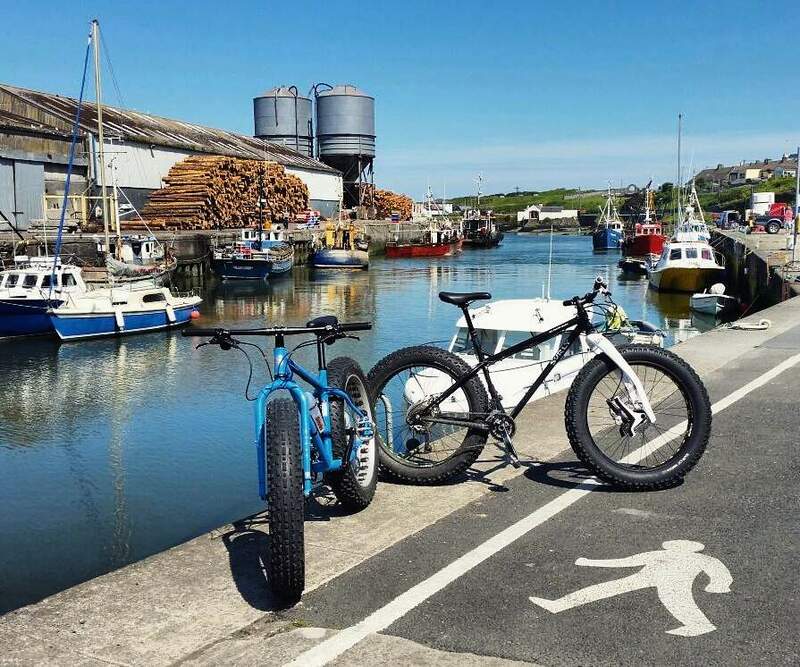 Browse our list of things to do in Wicklow with lots of ideas for family days out, activities, adventures and fun things to do with the kids. Our list of family activities is by no means complete. If you think we left something off our list, please let us know. Irish Fairy Trails at Russborough House is some of the best family fun you can have. And it is absolutely Free! Lady's Island at Russborough House is the home of 'Faylinn the Fairy and his fairy Friends'. They have lived in this beautiful house for nearly 300 years. It's a magical day out for the family and is sure to excite and enchant children of all ages. Searching for fairy homes is a great family fun adventure. 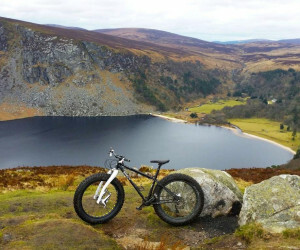 Put this on your list of things to do in Wicklow. Kilruddery House and Gardens are a magical place to escape to for a family fun day out. Once home to the Earls of Meath, this beautifully restored mansion is one of the finest examples of Elizabethan architecture. There's lots to see and do in this hidden gem. The stunning Kilruddery Gardens are the oldest in Ireland and still retain their 17th century charm. The gardens are home to a beautiful cafe serving cream tea and cakes as well as a BBQ in the summer months. 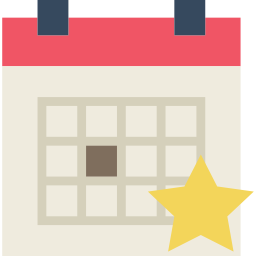 Perfect for family days out, Killruddery also run family events and kids workshops throughout the year. 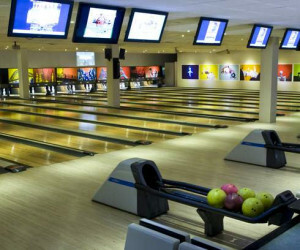 Bray Bowl offers a wide choice of activities to choose from to suit all ages. 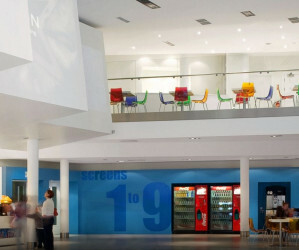 Located beside Bray Dart station, activities include Quasar, snooker, tenpin bowling, pool and lots more. 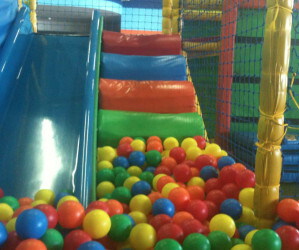 Bray Bowl also offer great value birthday party solutions. Wicklow's Historic Gaol offers visitors a glimpse inside a prison from the past. 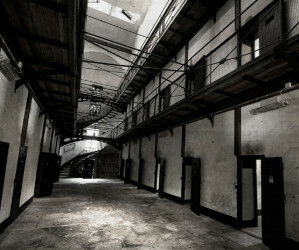 Voted one of Ireland's top tourist destinations, Wicklow Gaol is an interactive tour led by actor guides. The harsh reality of prison is brought to life before your eyes. 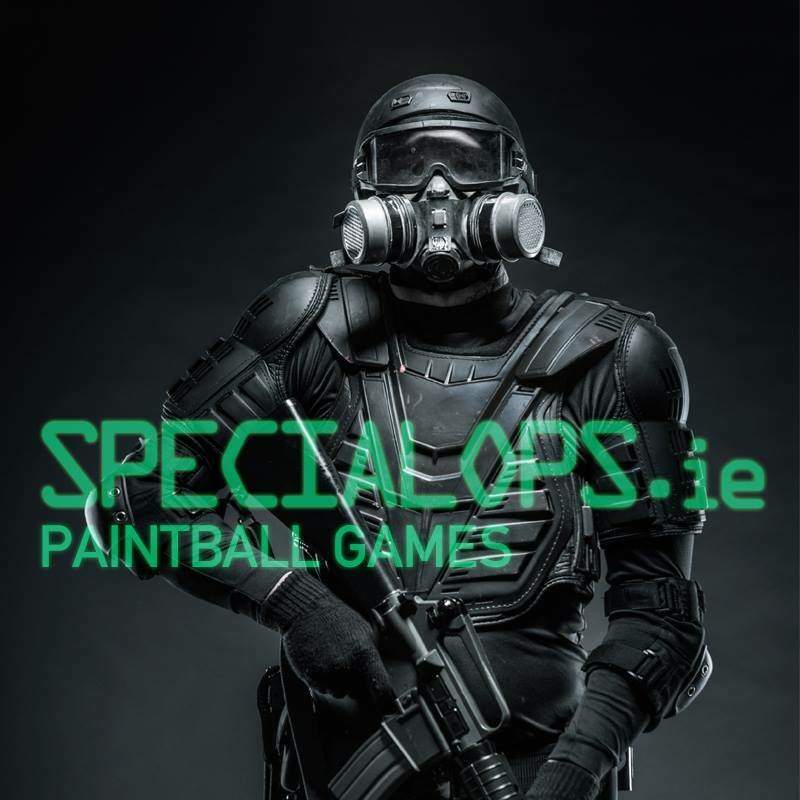 Perfect for school tours, corporate bookings or family days out. Greenan Maze is a working farm and is packed with lots of things to do for kids. An ideal family day out in Wicklow, here you will find an old farmhouse, bottle museum, a farm museum, garden maze, craft shop, nature trail and tea rooms. 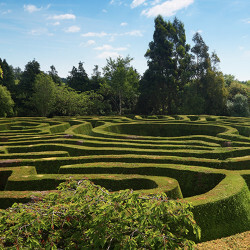 Greenan Maze is suitable for all ages and offers lots to see and do for the family. Greenan Farm is a working farm and features ducks, pigs, turkeys, geese, chicks and hens. 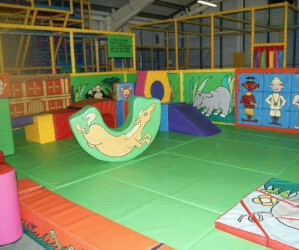 Offering birthday party packages, school tours and family deals, it's a great day out in Wicklow for the kids. 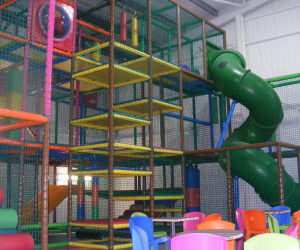 Wicklow Bowl & KidZone is located on the Dublin side as you travel into Wicklow town. 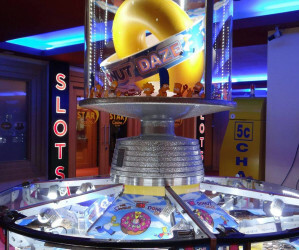 It offers a variety of activities such as ten pin bowling, pool tables, air hockey and arcade games. 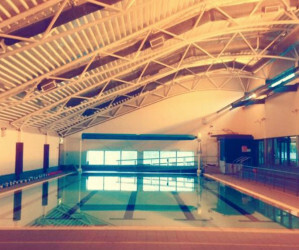 With ample parking and an on-site cafe, Wicklow bowl is a great day out for the family. Coillte Family Outdoor Activities. 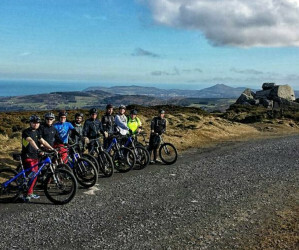 Coillte owns the longest trail network in Ireland and provide some of the best family activities and outdoor recreation in Wicklow. 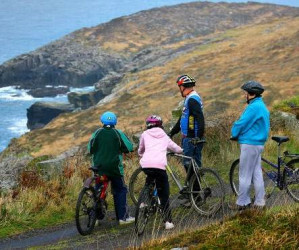 You can enjoy fun activities ranging from hiking, hill-walking and mountain biking to less active pursuits such as fishing, nature watching and family picnics. 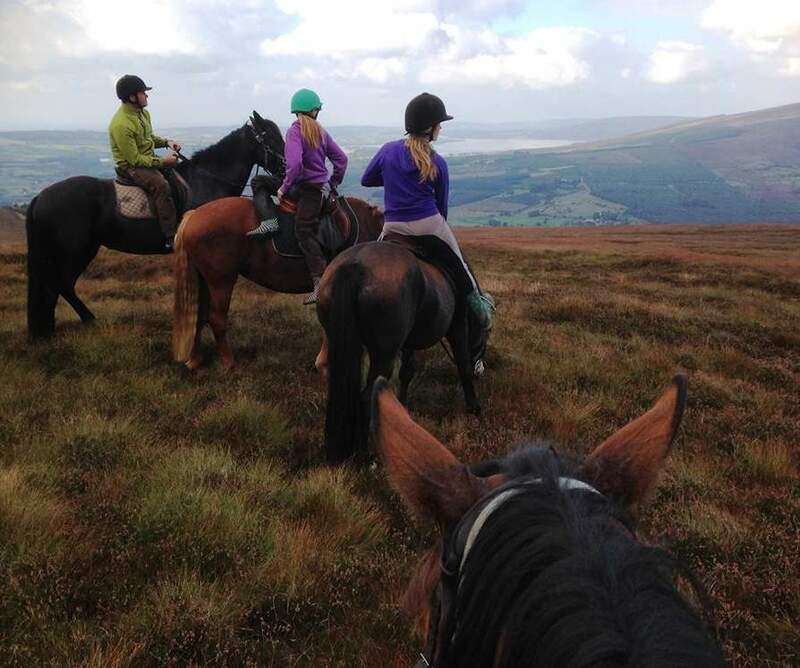 Put this on your list of healthy and invigorating things to do for families in Wicklow. 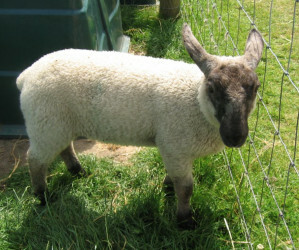 Glenroe Open Pet Farm is a family-run farm set in the beautiful Wicklow countryside. At Glenroe Open Farm the kids really get up close to a variety of farmyard animals, including sheep, cows, goats, chicken, deer, lambs, ducks, turkeys, peacocks and hens. 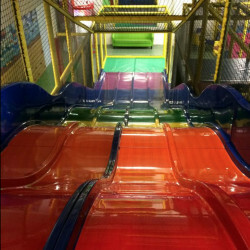 On-site is a well equipped playground and coffee shop serving light snacks, teas and coffees. 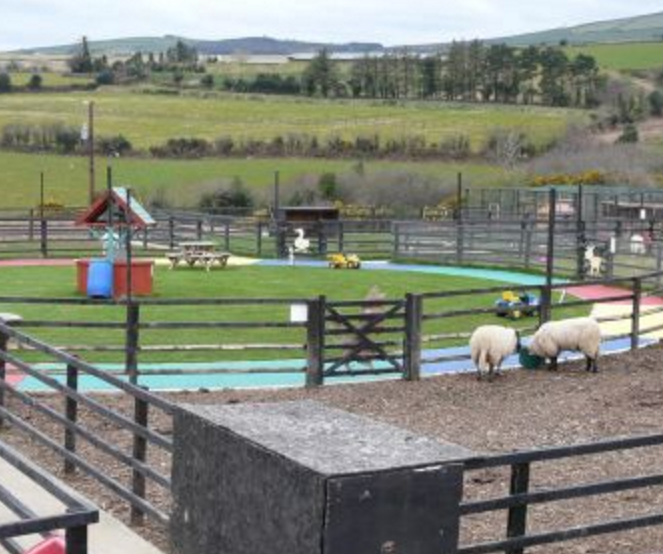 The farm provides picnic tables making this a perfect day out for families looking for things to do in Wicklow. Powerscourt Estate is a beautiful country estate located 20kms from Dublin city centre in the foothills of the Wicklow mountains. 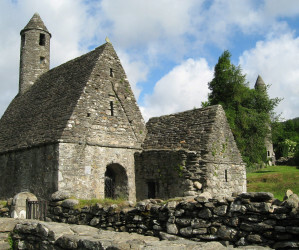 The building dates back to the 12th century and was once home to the Earls of Kildare. This stunning property has been restored to it's former glory and now offers walking tours catering to schools, families and individuals. 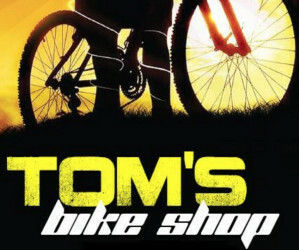 The tea rooms and coffee shop are a delight and make this a perfect day if you are looking for things to do in Wicklow. Powerscourt Gardens are part of the Powerscourt Estate, Gardens and Powerscourt Waterfall. Here you can enjoy beautifully ornate Japanese and Italian Gardens, stunning water features, formal rose gardens, statues from Venice and Rome and all manner of exotic flowers and trees. 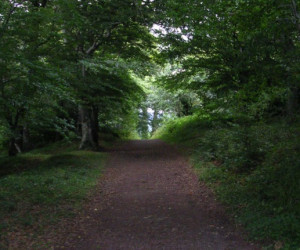 The Gardens are one of the most popular things to do in Wicklow and are guaranteed to please. 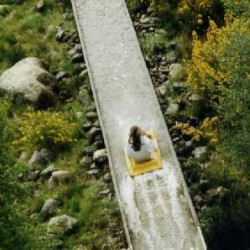 Clara Lara Fun Park is an outdoor adventure fun park set in 30 acres of beautiful Wicklow countryside. 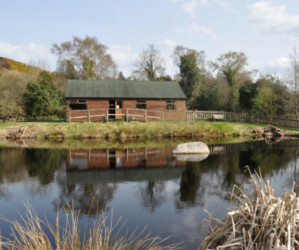 Clara Lara offers a healthy family day out in Wicklow with lots to do for all ages, such as water slides, rafts, canoes, tree houses, Tarzan swings rope bridges, rowing boats, canoes, go-karts and so much more. 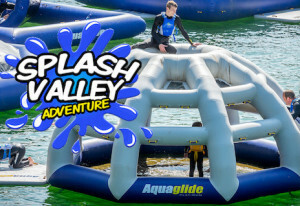 Set amongst a number of man-made lakes and with the Avonmore River as it's backdrop, Clara Lara is home to the Aqua Shuttle, the biggest water slide in Ireland. 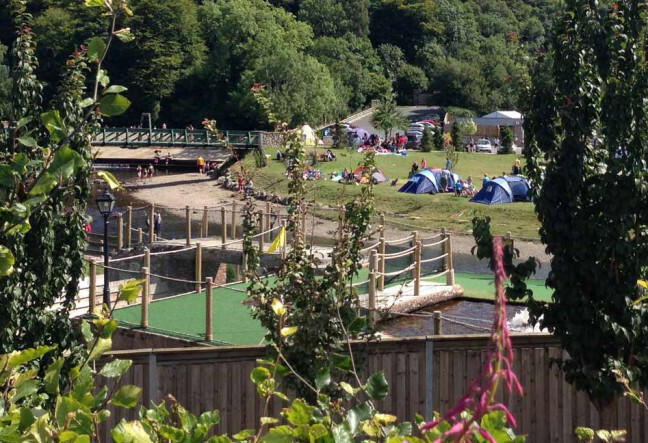 On site you will find a cafe, restaurant and picnic tables which make this a perfect location for families looking for fun days out in Wicklow. The Bray Cliff Walk is one of the most popular things to do in Bray offering stunning views of the rugged landscape and seafront. On a clear day you can take in Bray Head, The Wicklow Mountains, Howth and even make out Wales in the distance. 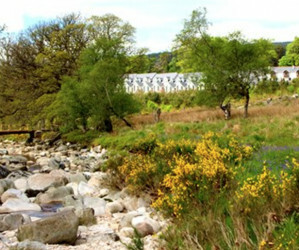 The two-hour long walk is an invigorating rush to the senses and is suitable for individuals, groups and families. Along the way, don't be surprised if you catch sight of seals, seabirds and even dolphins. Bray Promenade stretches the length of the harbour from the Martello Tower to the foot of Bray Head. Stretch your legs over this mile-long walk alongside Bray's pebble beach. The seafront will take you past the green and playground as well as a number of restaurants, hotels and coffee shops. Sea Life Bray is home to the Ireland's best Aquarium, Sea Life Bray, which is packed with lots of fascinating underwater creatures. It's a great thing to do for a family day out in Bray. Here you will see sharks, stingrays, octopus and all variety of tropical fish. 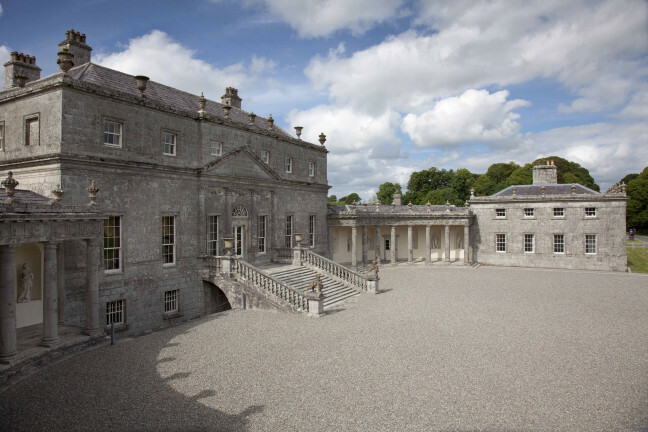 Killruddery House & Gardens is ideal for an escape to the countryside. 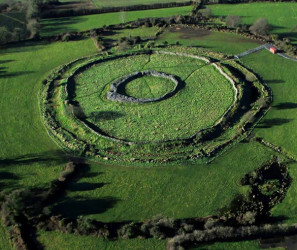 Despite being, only 20 minutes from Dublin, you will feel a million miles from anywhere. This picturesque spot is perfect for a day out with lots to see and do. The Country House and Gardens have featured in a number of big budget TV shows including The Tudors and Camelot. 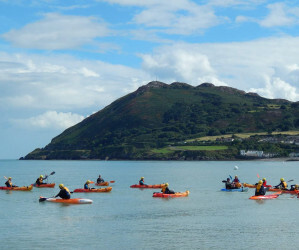 Bray Adventures: If outdoor adventure and adrenalin are more your thing, then look no further than Bray Adventures. 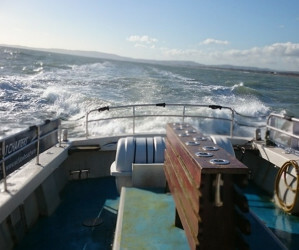 Catering for both water based and land based activities, Bray Adventures offer an unforgettable experience. Choose from surfing, kayaking, stand up paddle boarding, snorkelling or hill climbing. The town of Greystones is located 30 minutes from Dublin City just south of Bray Head. Greystones has grown from a small fishing village to a large town over recent years, yet still retains its character and charm. The friendly village atmosphere makes Greystones a popular spot with tourists and day-trippers looking for things to do in Wicklow. 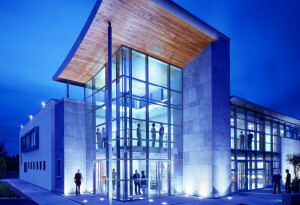 Greystones is served by a rail connection to Dublin and Wexford as well as the N11 motorway on it's doorstep. 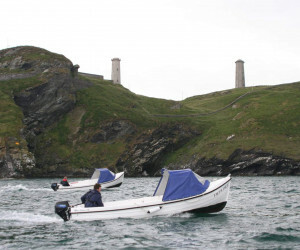 It has a variety of things to do such as sailing, swimming and fishing in Greystones Marina. 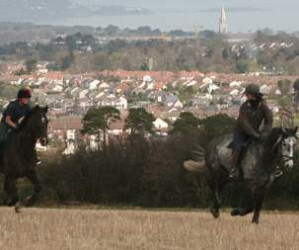 Bray is a two hour walk away along the cliff. 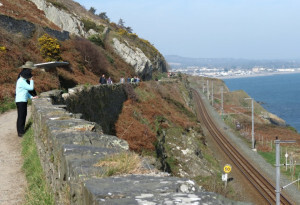 Why not take the dart to Bray and return on this stunning coastal path to enjoy a well earned bite to eat in one of Greystones many excellent restaurants, cafes & pubs.